4-room 6-person Cottage 35m² with living room with TV, fully equipped kitchen, 2 bedrooms with double bed each, bedroom with 2 bunk beds, shower room with washbasin and separate WC. The cottage includes a kitchen equipped with fridge, freezer, hob 2 burners, microwave, coffee maker, pressure cooker, fruit press. 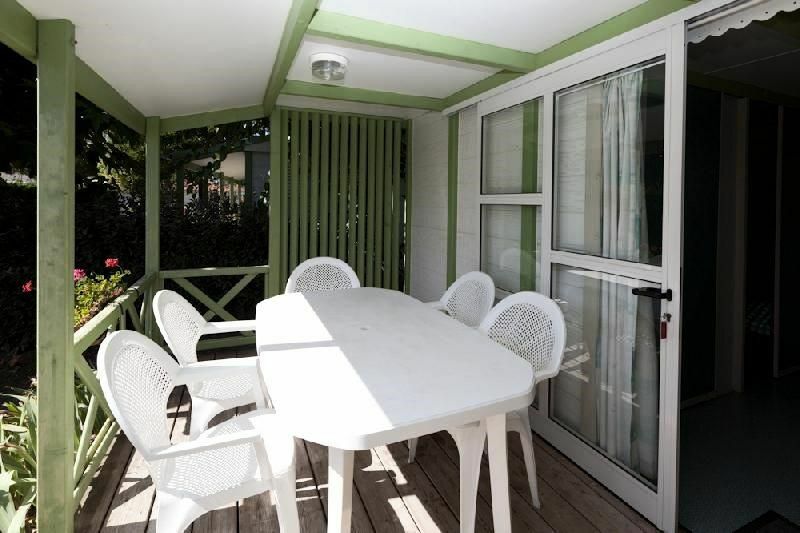 The accommodation also has a spacious terrace with garden furniture.